Looking for a convenient family home? 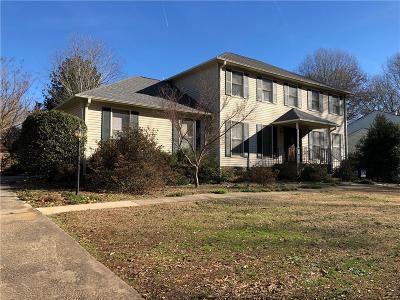 This comfortable home is walking distance to Clemson Elementary. It has everything you are looking for! The living room has a beautiful stone fireplace with gas logs, built-in bookshelves and cabinetry. It opens to a screened porch and fenced back yard. The newly remodeled kitchen has tons of storage, granite counters, newer appliances and a breakfast area and pantry. The formal dining room is very accommodating The large office is enclosed with large French doors. The spacious Master bedroom features 2 walk-in closets. The Master bath has a jetted tub, walk-in shower and clerestory windows. The large back yard is fully fenced. You will enjoy calling 107 Shaftsbury home!